4C’s mission is based on the core belief that involvement is key for compliance professionals. We believe when people come together to connect, they influence change that betters environmental practices of the entire community. The 4C mission is to provide an environment where compliance professionals come together to collaborate and connect with peers, and contribute to industry compliance, (that’s where the 4Cs come from). 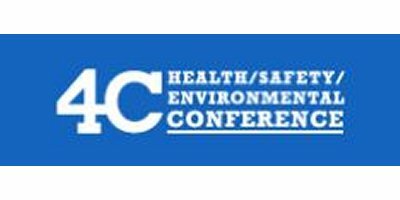 The 4C Conference focuses on environmental regulatory, policy, health & safety issues, best practices, and technological advancements in the industry. 4C attendees learn from subject matter experts and industry professionals in breakout presentation sessions and expert-led training courses. The training courses are designed to educate facility managers, technical personnel, and newly appointed HSE staff on existing and new health, safety, and environmental compliance strategies and best practices. Presentation sessions are offered on more than 10 topic tracks and range from introductory content to advanced topics, applications, and case studies. 300+ decision makers, managers, and representatives from 90+ refinery and petrochemical plants and service providers attend, giving attendees the opportunity to connect with peers who share professional education goals, experience the same challenges and opportunities in the refining and petrochemical industries. Join your peers to participate in the most content rich, collaborative platform for Health, Safety, and Environmental professionals. Take training classes on the industry’s most relevant topics, and attend presentations given by the industry and subject matter experts. Join us for a full day of interaction with industry end-users, decision makers, and policy shapers. Conduct business with 300+ potential customers, and get to know your customer base during our networking events. Exhibit booth spaces are filling up fast. Present your research, best-practices, compliance strategies, and technological developments to HSE professionals from around the world. Host a training course and get valuable face time with HSE industry members. 4C welcomes all courses levels, from intro classes to unique and advanced topics. Experts from the HSE ecosystem are planning unique, valuable, practical, and hands-on content to share with attendees at 4C 2018. Track topics and content will focus on a broad range of technical, compliance, and best-practice areas where strategic knowledge continues to offer practical real-world solutions as well as innovative and new ways to projects and compliance strategies. Subject matter experts from all areas of the HSE industry are hosting in depth training sessions on the knowledge industry members need to have to stay up-to-date and marketable to customers. Introductory sessions and advanced sessions will be offered by some of the most experienced and highly regarded experts in the HSE community.